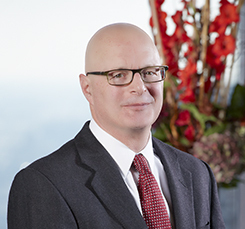 Bob focuses his practice on bankruptcy and litigation, serving clients that include privately held businesses, large financial institutions and individual entrepreneurs. Bob's practice is wide-ranging, representing, on the bankruptcy side, both debtors and creditors as well as creditors' committees. In one significant case, he helped a bank recover substantial assets from a bankrupt estate over the objections of the unsecured creditors. In another, he successfully reorganized a forklift company over the opposition of seven different lenders, each claiming an interest in the same collateral. He also helped a bank recover significant sums from an insurance company which had insured the bank against loss from forgery. Bob's financial services experience includes work on behalf of banks, debt collectors, mortgage companies and other financial institutions. Bob's litigation practice also includes representing clients in business disputes, including fraud and contract claims, as well as employment litigation. He has argued matters before the Seventh Circuit and Illinois Supreme Court, among others. Bob has spoken on numerous occasions on legal topics, most recently concerning the bankruptcy implications of real estate foreclosure and the impact of the revisions to the Bankruptcy Code.